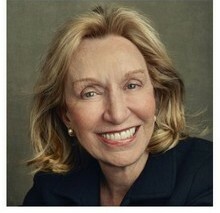 Pulitzer Prize-winning author and presidential historian Doris Kearns Goodwin brings history alive with an uncanny sense for detail and a master storyteller’s grasp of drama and depth as she examines the leadership triumphs, trials and tribulations of the men and women who have shaped this nation, culled from her lifetime examination of the U.S. presidency. The Symphonia performs John Williams’ Academy Award-winning score of Star Wars: A New Hope, during a grand showing of the epic film that started it all. Even if you know the story well or have seen the film several times, there is nothing like seeing this, the first-ever Star Wars film, accompanied by the booming brass and lush strings of a full symphony orchestra. 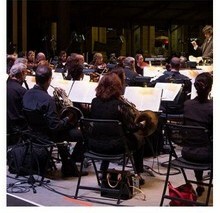 Constantine Kitsopoulos conducts, and the force is sure to be with all in attendance. 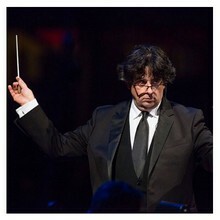 Constantine Kitsopoulos has made a name for himself as a conductor whose musical experiences comfortably span the worlds of opera and symphony, for which he conducts in such venues as Carnegie Hall, Avery Fisher Hall and Royal Albert Hall, as well as musical theater, as he can be found leading orchestras on Broadway. The 2018-19 season will mark his ninth as Music Director of the Festival of the Arts BOCA. Thirty years ago, as much of the world was being ravaged by horrific diseases like HIV/AIDS and tuberculosis, three remarkable young people, barely out of their teens – Jim Yong Kim, Paul Farmer, Ophelia Dahl – came together in a squatter settlement in Haiti. 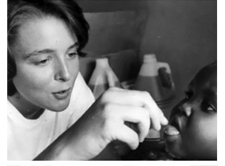 Determined to provide the same world-class level of medical care they would expect for their own families to the Haitians that soon became their friends, they faced obstacles so enormous they weren’t even considered surmountable by the rest of the world. The groundbreaking work they began in Haiti – creating a remarkable model of how to deliver the highest-quality care in the most unlikely places – would eventually grow to have massive global effects. 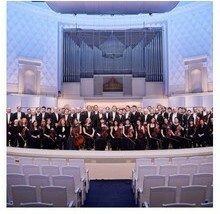 The Symphonia returns to the Mizner Park stage for a thrilling evening of orchestral favorites, including Gershwin’s immortal Rhapsody in Blue, featuring pianist Shelly Berg, under the direction of Constantine Kitsopoulos. How is the U.S. Constitution weathering the 21st century? Can a government besieged by powerful lobbies and special interests rely on a 200-year-old document to weather the storms ahead? And what should we expect from the Supreme Court? Author, journalist, and president of the National Constitution Center, Jeffrey Rosen, will speak on our founding document’s past, present, and future in this timely Authors & Ideas session. There is nothing quite like a Pink Martini concert. Eclectic, international, multilingual, rambunctious and, of course, fun, Pink Martini's "little orchestra" draws inspiration from the romantic Hollywood musicals of the 1940s and '50s and crosses genres to make an eclectic, modern sound. Their arrangements of Latin music, jazz, cabaret and cinema scores come together in a sound that defies categorization but is guaranteed to get the audience up out of their seats and dancing in the aisles. Two esteemed experts on global health issues – one American, one Rwandan – offer a panel discussion on the state of world health. Dr. Agnes Binagwaho, Vice Chancellor of the University of Global Health Equity, an initiative of Partners in Health, brings her perspective as a practicing physician, scholar, and government health official, including having served as Rwandan Minister of Health. 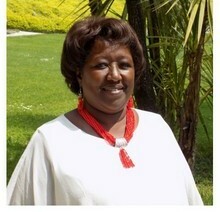 She is active in advocacy and political mobilization on behalf of women and children, in Rwanda and worldwide. 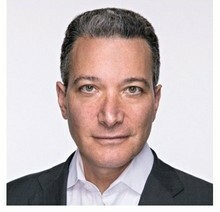 Partners In Health is focused on changing the way health care is delivered around the world. Thomas Bollyky offers the insights of a scholar and author, having directed the first Council on Foreign Relations-sponsored Independent Task Force devoted to global health, and he also has a forthcoming book, Plagues and the Paradox of Progress: Why the World is Getting Healthier in Worrisome Ways. The panel will be moderated by Dr. Felicia Knaul, Director, Institute for Advanced Study of the Americas and Professor, Miller School of Medicine. 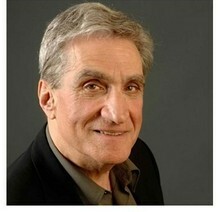 The former Poet Laureate Robert Pinsky reads his poetry while accompanied by a small jazz ensemble. Pinsky will be introduced by P. Scott Cunningham, Boca native, winner of the Miller Williams Poetry Series, and author of YaTe Ver. Cunningham is the founder of O Miami, which celebrates Miami and South Florida through poetry. 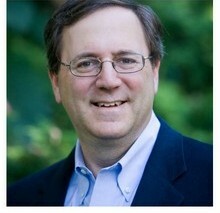 National security correspondent and Pulitzer prize-winning New York Times senior writer David Sanger explains how the rise of cyberweapons has transformed geopolitics like nothing since the invention of the atomic bomb. From crippling infrastructure to sowing discord and doubt – cyber is now the weapon of choice for democracies, dictators, and terrorists. Featuring stars from the Russian National Orchestra and the Bolshoi Ballet. Expect an exhilarating evening of Russian ballet, including music from Swan Lake and other favorites. 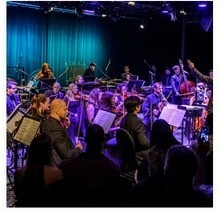 The Miami-based Nu Deco Ensemble is a virtuosic and eclectic chamber orchestra designed for the 21st century. Its exciting and adventurous classical music performances blend masterful musicianship with a wide range of repertoire from classical to pop. 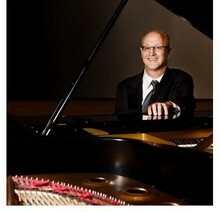 Indeed, Nu Deco Ensemble is South Florida’s leader in genre-bending musical exploration. 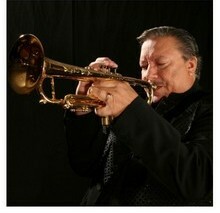 Cuban-born jazz trumpeter and composer Arturo Sandoval, a 10-time Grammy Award-winner who plays with an unbeatable mix of fire, finesse, and feeling, brings his blazing sextet to Boca for an unforgettable evening of jazz. Awarded the Medal of Freedom in 2013 by President Obama, Sandoval, who’s equally fluent in jazz, classical and Cuban idioms, was a protégé of the late, great bebop trumpeter Dizzy Gillespie. Heard on recordings by artists as diverse as Gillespie, Sinatra, and Alicia Keys, Sandoval soars when he’s performing live with his band. Show times, Performers and Programs are subject to change.